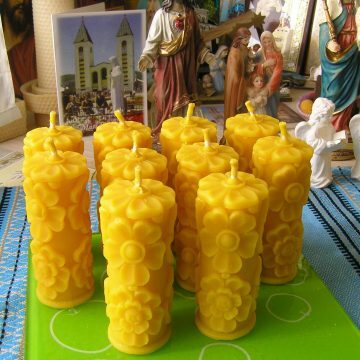 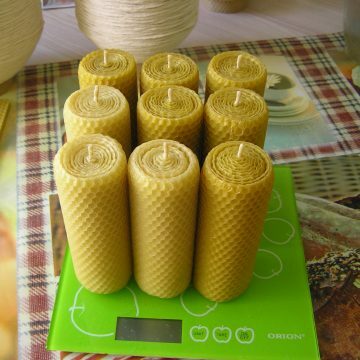 Set consists of 5 beeswax candles.Each candle is 3.9”/1.8”=10/4.8cm. 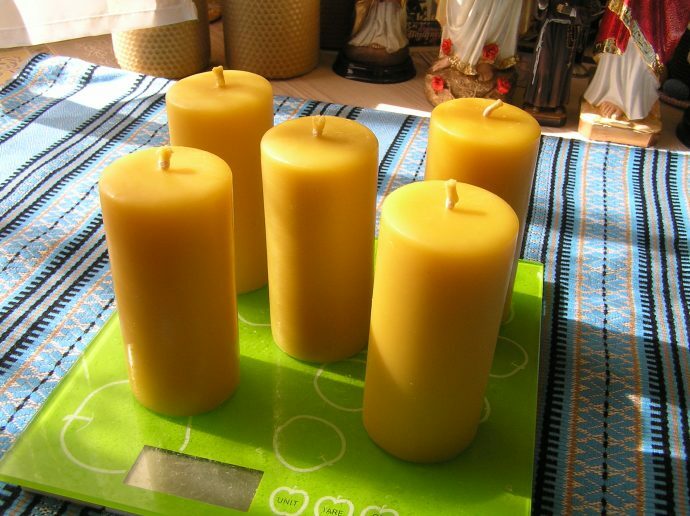 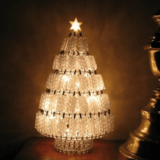 Each candle may burn around 18 hours. 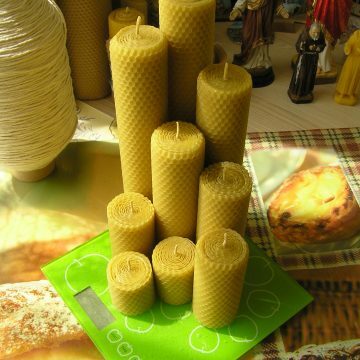 5 candles cost $55.00 USD including worldwide shipping.